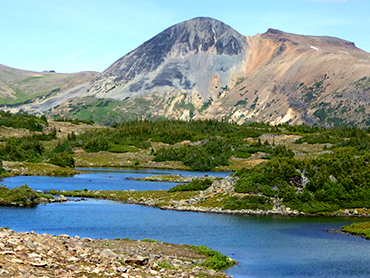 Tweedsmuir Park in the West Chilcotin, is one of the largest parks in BC. Tweedsmuir Park - Wilderness Adventure! Located in the west-central region of the province, Tweedsmuir Park is 480 km northwest of Vancouver as the crow flies. The Park boundary starts just a few miles to the west of Anahim and Nimpo Lakes. 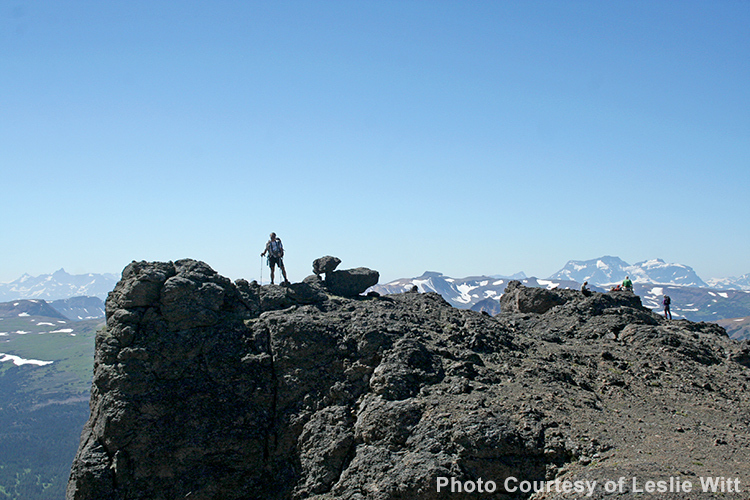 Tweedsmuir Park is considered an isolated wilderness for the most part with infrequent patrols by park staff, so care should be taken by all users of the park. Tweedsmuir Park offers exceptional angling for Salmon and Steelhead on the Atnarko and Bella Coola Rivers as well as world-renowned fly fishing on the Dean River. Surrounding lakes are teeming with Dolly Varden, cuttthroat, whitefish and our famous, fighting native Rainbow Trout. Other activities in the park include hiking, horseback riding, canoeing as well downhill skiing, snowmobiling, snow shoeing and cross country skiing in the winter. There are miles of groomed cross country ski trails at the top of Heckman Pass at the parking lot and a small ski lift and warming cabin just a few miles from where the parking lot is. Wildlife is abundant here and provides endless opportunity for some extraordinary wildlife photography. 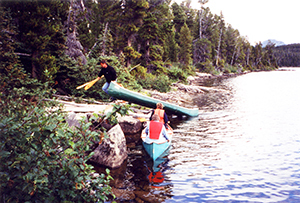 The Turner Lake Chain offers all canoeing enthusiasts an opportunity for a three to five day canoe trip through incredible mountain scenery. 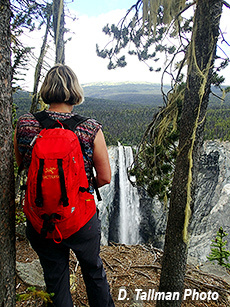 The chain of lakes can be accessed by floatplane from Nimpo Lake or by hiking 16 km along the Hunlen Falls Trail. There are canoe rentals and a campsite available at Turner Lake. At the north end of Turner Lake the park facility operator will welcome you. There you can rent canoes and obtain your camping permit. There are many lakes and rivers in the park for canoeing and boating, but many can be difficult to access, so make sure you have maps and complete information from park servic es about the area before going too far into the back country. The Rainbow Mountains sport the unusual reds, yellows and pinks from mineral deposits resulting from ancient volcanic activity. Hiking in the range is extremely popular, where you can easily access high alpine valleys where the coastal influence has created an incredible abundance of wild alpine flowers for the botanist and photographer. 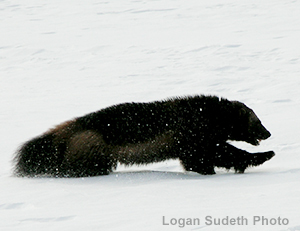 Either hiking or from horseback, you may see grizzly bear, black bear, deer, moose, mountain goat, wolves, wolverine, caribou, and many smaller fur bearing animals. 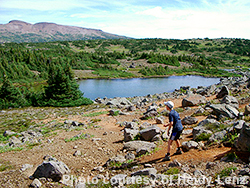 Hike or ride the Rainbow, Octopus, Capoose or Crystal Lake Trails. Or for the conditioned hiker, take on the 480 km Alexander Mackenzie Heritage Trail, an ancient trade route followed by natives from the Pacific Ocean to the inland Plateau. For those who would just like a short day hike, there's the Kettle Pond and Burnt Bridge trails. For a more famous hike, Hunlen Falls is named for the Indian Trapper, Hana-Lin and is the third highest free falling water fall in Canada at over 1000 feet. It is at the northern end of the Turner Lake chain and can be reached by flying in from Nimpo Lake or hiking 10 miles on the Hunlen Trail. The trail starts at the bottom of the Bella Coola Hill at the Atnarko 'tote' road and climbs over 6000 feet. 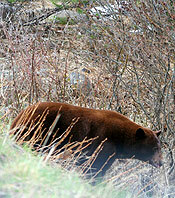 That particular trail is well populated with grizzly bears so be aware. Should you decide to fly in instead, you will land on a gorgeous lake just short of where the falls drop over the cliff near a picnic area. It's a short hike around the rim to a great spot overlooking the falls. From there you can take a longer 20 minute hike to a second viewing point where you can also see Lonesome Lake and the surrounding mountains. Bella Coola, at the end of the road and on the eastern most end of Tweedsmuir Park, offers businesses, shops, groceries and fuel as well as ocean charters for fishing. There is also a helicopter charter in Tweedsmuir Park offering powder skiing in winter and fly outs in summer. 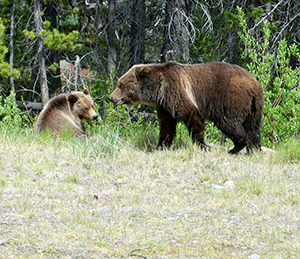 In Tweedsmuir Park in the Bella Coola Valley just after dropping down the 'Hill', there is a bear viewing station which has a viewing platform that makes it safe for watching the grizzly bears that come along the Atnarko River fishing for salmon. Below is a government link giving the vacationer more comprehensive information on the park including maps and camping instructions.